OCTOBER, I LOVE YOU. Please come back? And bring Kelly with you, too? Since that's not possible, I guess I'll look forward to Thanksgiving and Christmas and all those festivities instead. I see you, 2018. Hold your horses. 1. Fall is My Favorite - In my opinion, fall is the best season! When I found this adorable mug while on a trip to Monroe with my mama and my boy, I had to have it. It says "What I Love About Autumn" and lists basically ALL the reasons this season is a winner. Plus, it's a reminder of a fun adventure with two of my favorite people! 2. Kelly Comes to Town - Kelly visiting for five days was definitely the highlight of October! I've gotten to see her twice in one year, so I'm basically spoiled. I loved every minute with her and wished she'd stayed longer! We traipsed around Athens, explored lots of bookstores and talked about anything and everything. 3. A Decade of Friendship - Two days after Kelly left, I got to reunite with three of the sweetest friends in Atlanta. We met ten years ago at the University of Georgia and were all in Zeta Tau Alpha together. It was so lovely to catch up with them over delicious food and made me so thankful for friendships that have lasted so long! 4. Hello, New Happy Planners - I've mentioned before that I've become obsessed with Happy Planners, and I swear I'll post about them at some point. They recently released their 2018 planners, and there were two on my wishlist. The small one is my new reading log, and I've got some blogging things in store for the colorful one. “We don't learn to love each other well in the easy moments. Anyone is good company at a cocktail party. “The heart of hospitality is about creating space for someone to feel seen and heard and loved. “The human heart is a big thumping miracle, I decided. “This isn’t like the way I felt about Rachel. It’s different. 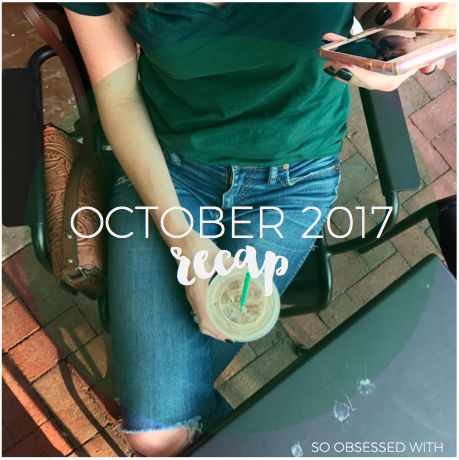 I felt pretty good about my blogging life in October! I still wish I posted more often, but I'm learning to accept that I just can't do everything. I started the month with my September 2017 recap. Next, I shared my review of First Comes Love by Emily Giffin for September's Picky Pledge Challenge prompt, "A Book I Pre-Ordered." 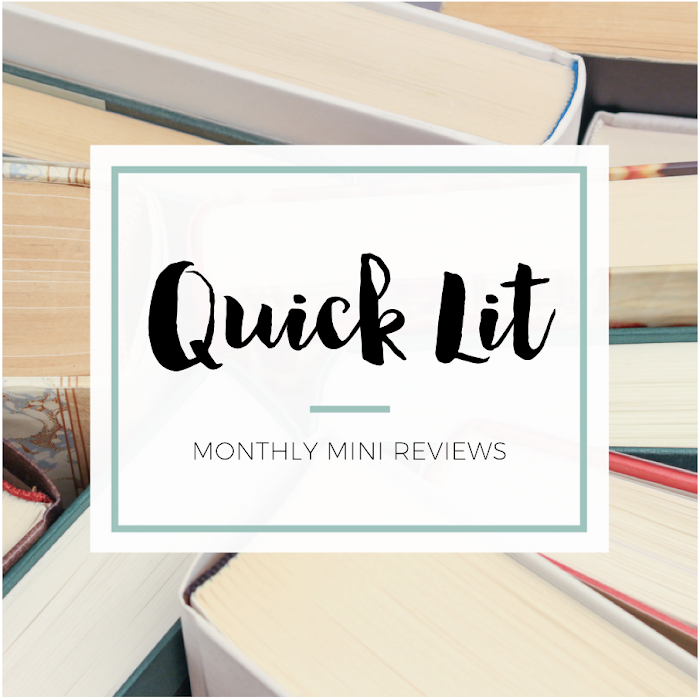 My September Quick Lit was another long one and featured nine books. Finally, I re-read Erika Johansen's The Queen of the Tearling and The Invasion of the Tearling before reading The Fate of the Tearling, which was a huge letdown. I hate when the final book makes me hate a series! 1. Capsule Libraries: Andi from Andi's ABCs, Lauren from Bookmark Lit, Kristin from Super Space Chick and Bleu Bailey from Booked & Busy - I was so excited to see people start sharing their own Capsule Libraries! These are four I found, but leave a link if you've posted one, too. I love what it reveals about people's reading taste! 2. Plan to Eat Review & Walk-Through by Cassie from The Casserole - I'd mentioned to Cassie that I was interested in trying Plan to Eat, and she had the brilliant idea to test it out and write a review first! Reading her post - and talking about it with her - made me even more convinced that I need this in my life. 3. On Being a Morning Reader by Rikki from The Ardent Biblio - How I had not found this blog before this month?! It's so lovely, as is their Instagram. This was one of my favorite posts from them in October. I'm not an early morning reader at all, though I wish I was, and this post certainly highlighted the benefits of being one. 4. 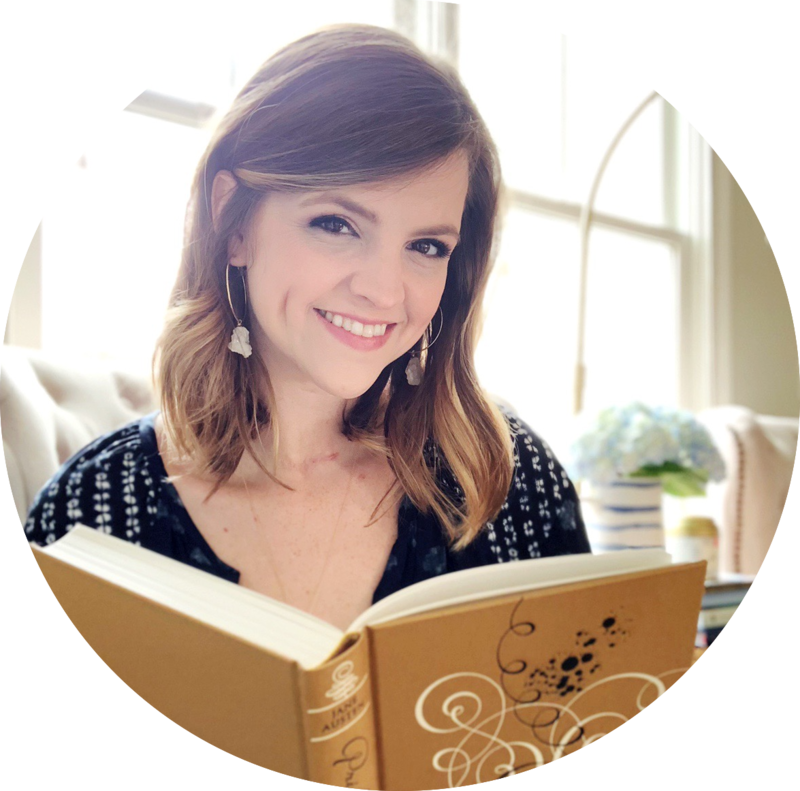 The Stories We Shared: A Family Book Journal (Review + How I'm Using It) by Christine from The Buckling Bookshelf - When Kelly was visiting, I mentioned that I wanted some kind of journal to record what I was reading to my son. So, this post was perfect timing, and I'm totally getting one (at least) for our family! for the album's release. It didn't disappoint! I've had it on repeat all month. I saw two friends recommend this on Instagram, so I immediately went to investigate. It's such a lovely album of quiet worship songs, and I enjoy Nockels' voice. 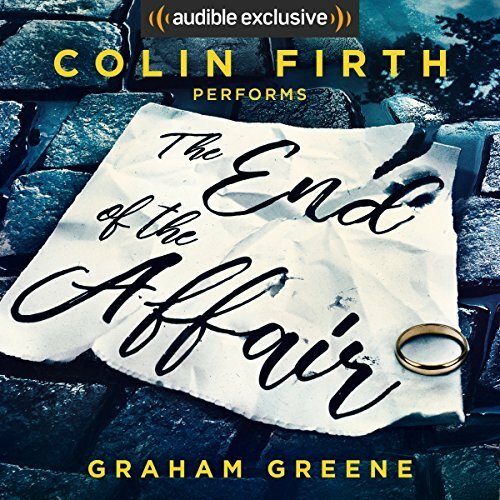 I bought this on Audible earlier this year and finally listened to it. 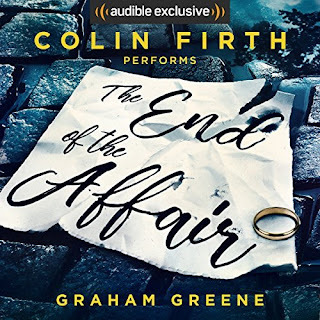 While I wasn't crazy about the story, it was worth it for Firth's narration! The Bold Type, Season 1, starring Katie Stevens, Aisha Dee and Meghann Fahy - I felt like I was hearing about this show everywhere, so I decided to binge it in October. It was fun and had such great female friendships, but I didn't love it. I'd be curious about the second season, if there is one, but I wouldn't rush to watch it. Costco Prices Convinced Me: The Beverly Cleary Collection (I can't find this exact set online!) and The Pioneer Woman Cooks: Come and Get It! Thank you for masterminding the Capsule Library tag! I had so much fun (and a bit of stress) creating mine and I loved seeing what other people chose for theirs! I enjoyed The Bold Type but I'm a bit nervous about the second season since they're changing the showrunner. My husband always made fun of the fact that a British voice belonging to no one on the show would recap in the beginning of each episode. And I looooove the Puffin classics! You've made me realize that I'm missing Oliver Twist. And I will FOREVER be wishing for a copy of the out of print Grimm's Fairy Tales one. It was so pretty! I'm such a sucker for historical fiction and I loved The Nightingale. Honestly it caught my attention because of the beautiful cover and the authors first name is the same as mine. It told a different side of WW2 that I had never thought of. I hope you like it. P.S. the best WW2 fiction I've ever encountered was the audible version of Code Name Verity. I've relistened to it more than once and the "kiss me hardy" scene still gets me every time.